Ross HV shorting relay. 230v @ 50 - 60 Hz coil. 78 amp. Double throw, 1 normally closed, 1 normally open. Auxillary position switch is SPDT. 2-1/2" x 2-3/4" x 6"H.
Ross HV relay. 12 kv, 70 amp. Normally closed. 115v, 60 Hz coil. Single pole. 2-1/2" x 2-1/2" x 4-3/4"H.
Ross HV shorting relay. 12 kv, 70 amp. 115 vac, 60 Hz coil. Normally open single pole. Actuator 115v / 60 Hz. 2-1/2" x 2-1/2" x 4-3/4"H. Used. Ross HV shorting relay. 12 kv always open, 70 amp. Normally closed single pole. 115 vac, 60 Hz coil. 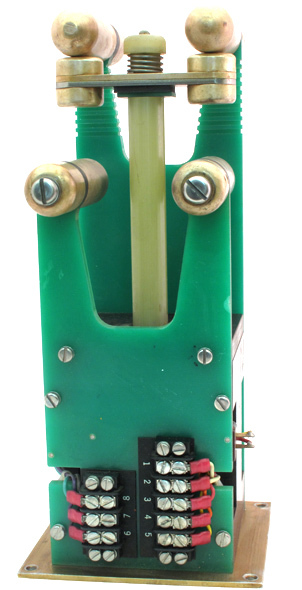 Actuator 115v coil. 2-1/2" x 2-1/2" x 4-3/4"H. Used. Only one available. Ross HV shorting relay. 15 kv, 125 amp. Double throw. 1 normally closed, 1 normally open. Actuator 115v / 60 Hz. 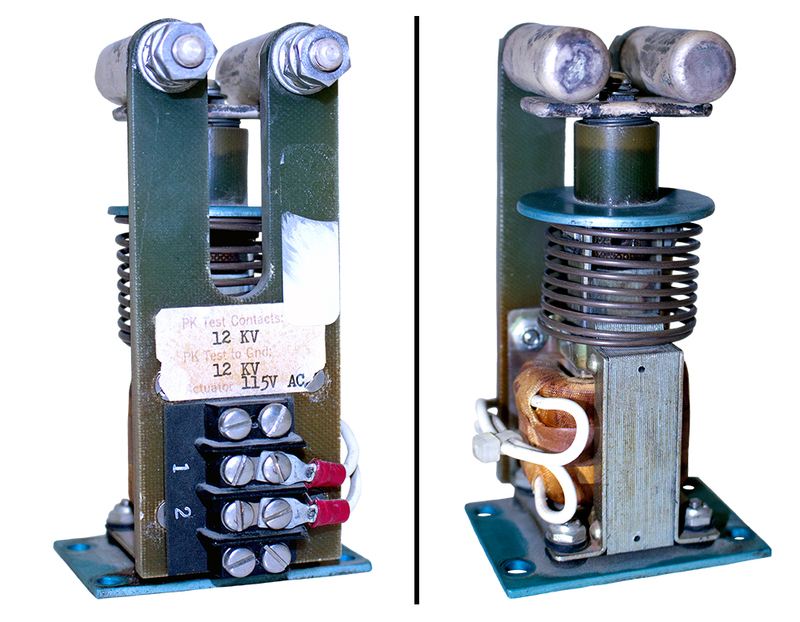 3" x 3" x 7"H.
Ross high voltage relay. DPDT. Double pole, each with 1 - N.O. and 1- N.C. contact. 230v, 60 Hz coil. Redundant microswitches sense relay in open or closed position. New - unused. 4-3/4" x 5" x 7-1/4"H. 25-2L-2-BD. 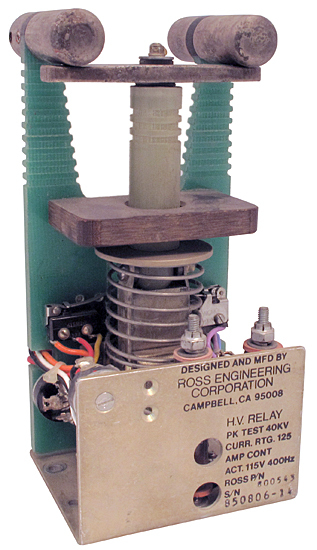 Ross high voltage relay. 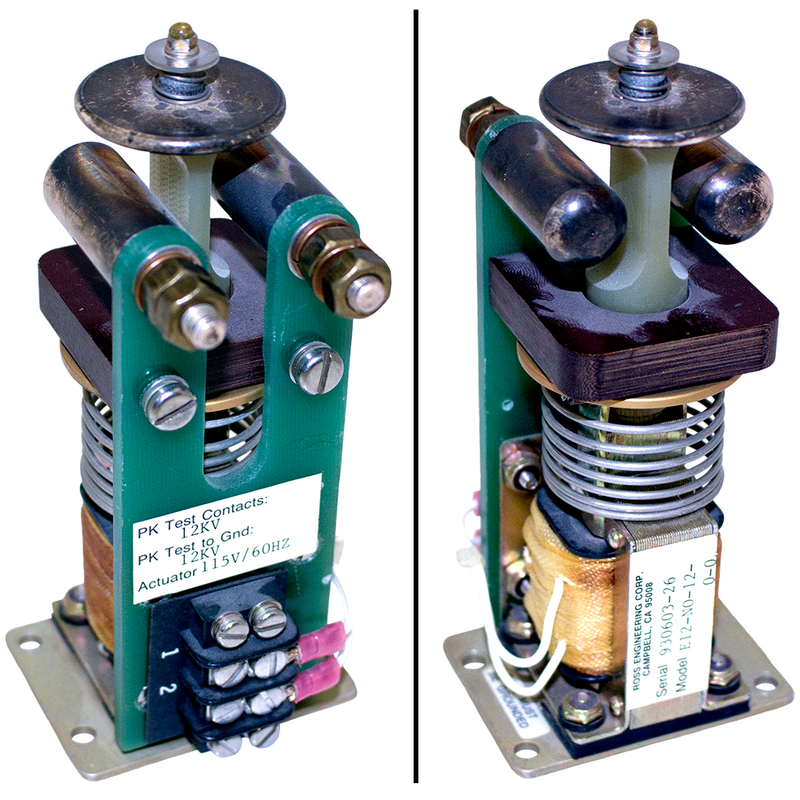 Unique double pole, double solenoid design. Safety solenoid must first energize to unlock armature. 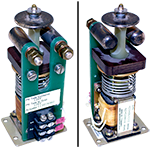 Then, main armature solenoid can be energized to move shorting bar to bottom contacts. Conservative continuous rating: 120 amps RMS, 30 kv. 5-1/2" x 6-1/2" x 10-1/4"H. NSN: 5945-01-258-3951. Ross HV relay. 40 kv, 125 amps. 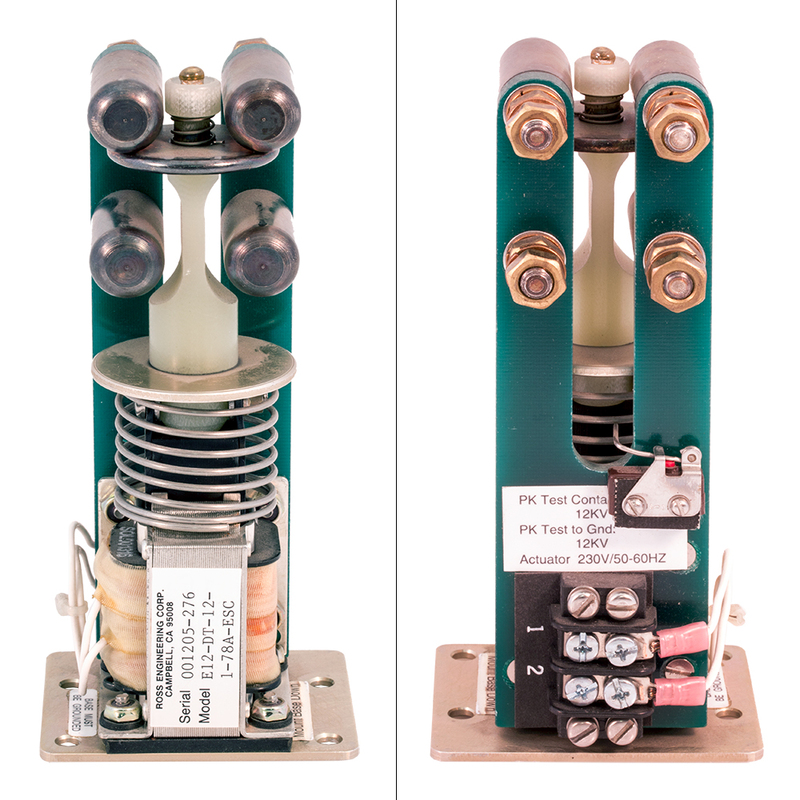 Peak test contacts: 40 kv. 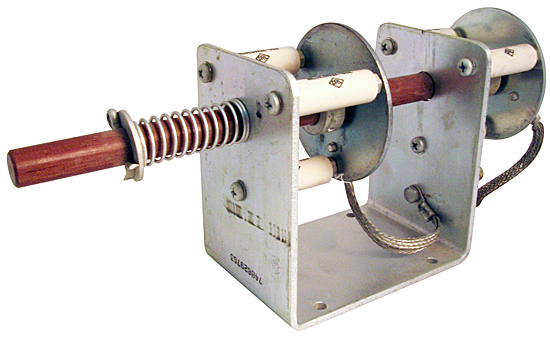 Peak test to ground: 40 kv. Actuator: 115v @ 60 Hz. 3-1/2" x 2-1/4" x 11" high. Used. Contacts show minimal wear. No tool marks. Ross HV relay. 40 kv, 125 amps. 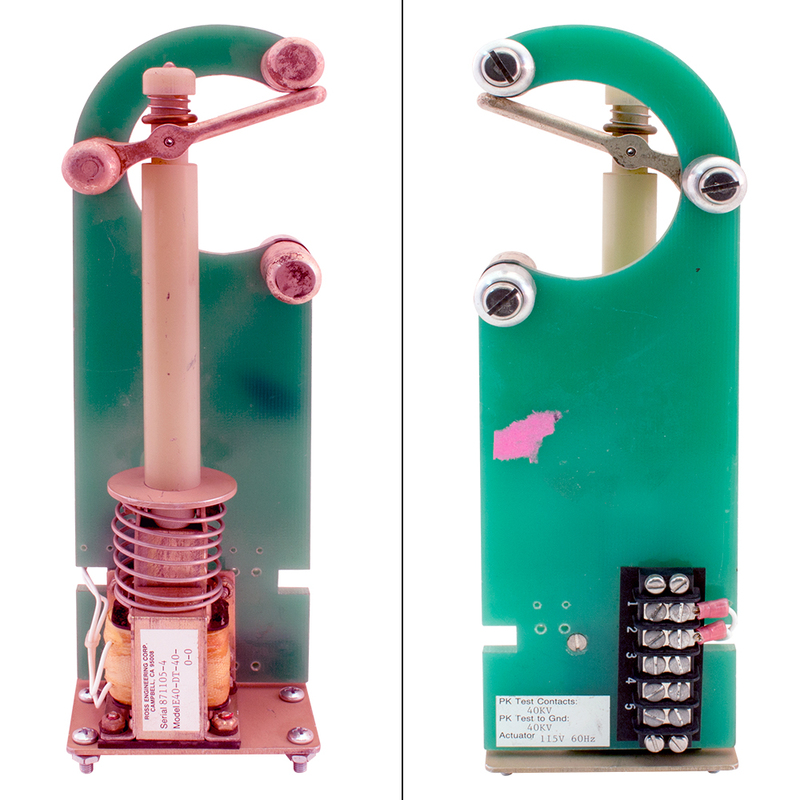 115v AC, 60 Hz actuator coil. SPST, normally closed. 3" x 3-1/2" x 7"H. Used. Ross HV shorting relay. 40kv, 125 amps. 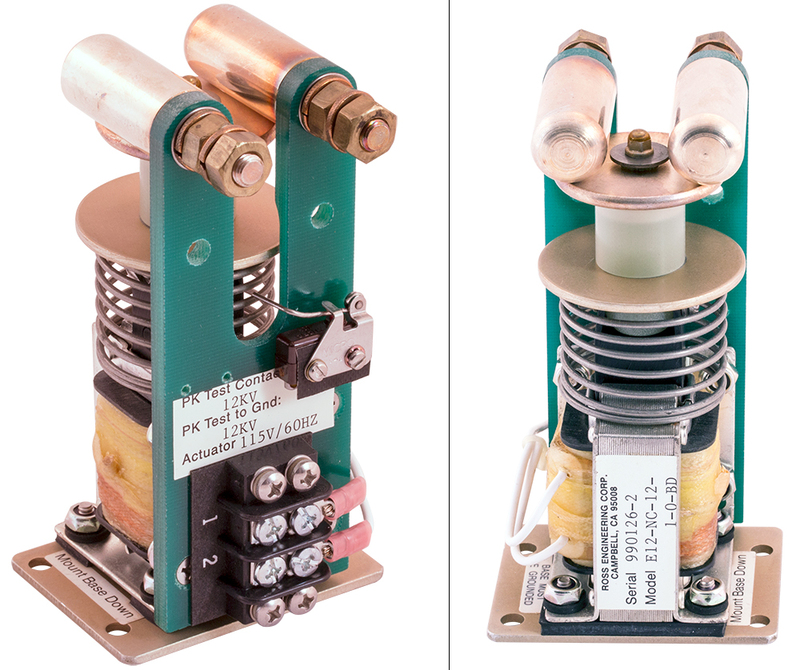 115v, 50/60 Hz coil. Normally closed. Microswitch monitors in both open and closed positions. 4-1/2" x 3" x 7-1/8"H.
Ross latching relay. 60 kvw / 80kv pk. 1 pole. 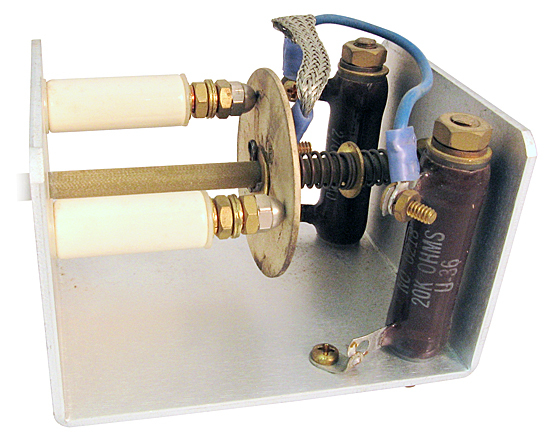 Actuator: 70v, 60 Hz. NSN: 5945-01-170-4432. Ross relay. SPDT. 40 kv, 200 amps. 115v AC actuator coil. 6" x 4-1/4" x 11-1/2"H.
Normally closed ross shorting relay. 40 kv, 125 amp. Actuator coil is 115v DC. Input is listed as 115v AC / 400 Hz. 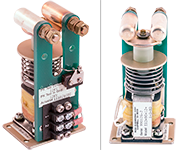 Two on board rectifiers covert DC for coil. 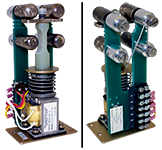 Three SPDT micro-switches prove relay in actuated (open) position. Used, removed. Make you own shorting relay with this replacement shorting bar. Silver plated copper. 300 amp. 2.93" long, 1.57" wide. Harris P/N: 994-7883-001. 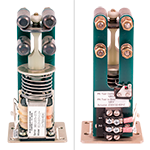 High voltage deadman safety switch. Spring loaded, normally closed. 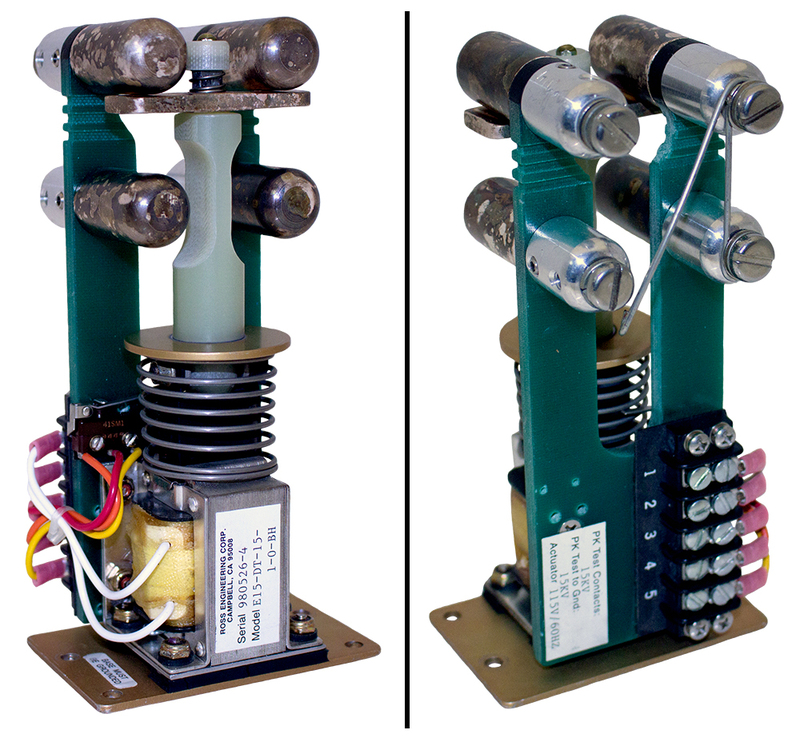 6.5" long fiberglass rod is connected to silver plated disk that is routed to ground through two, 20k, 25 watt resistors. At resting position, disk contacts three acorn nuts set on ceramic insulators. The procedure would be to tie HV wires to acorn nuts. The unit is mounted inside the power supply so that when the door on the back closes, it presses on the fiber rod holding the disk off the acorn nuts. 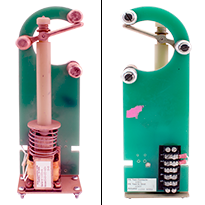 When the door opens, the rod spring forces disk to close on all three acorn nuts taking the voltage to ground through the resistors. General Electric 2 pole high voltage deadman kill switch for transmitter. Each pole has thick aluminum disk at ground potential via braided strap. Disk rests on three ceramic insulators to which your high voltage leads attach. Fiberglass piston is depressed by closed cabinet door holding shorting disk off insulators. 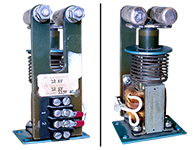 Spring return draws disks down to insulators taking any voltage to ground. Measures 2-3/4" x 6-1/2" x 4" high + 3-1/4" out front for plunger. Made for Harris broadcast.